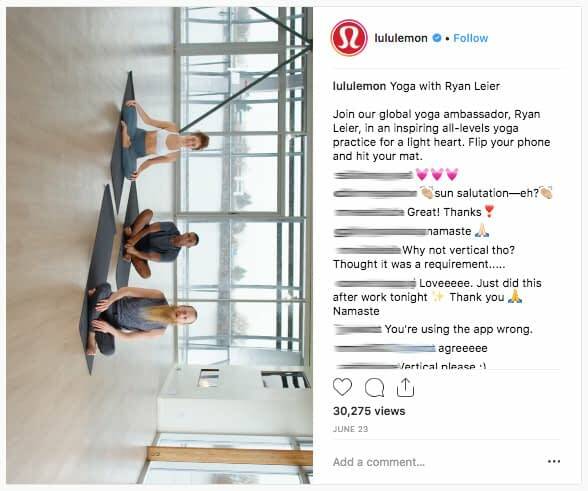 Brands have been having fun experimenting with Instagram IGTV since its launch just a few months ago – and there’s a lot to learn from their efforts. 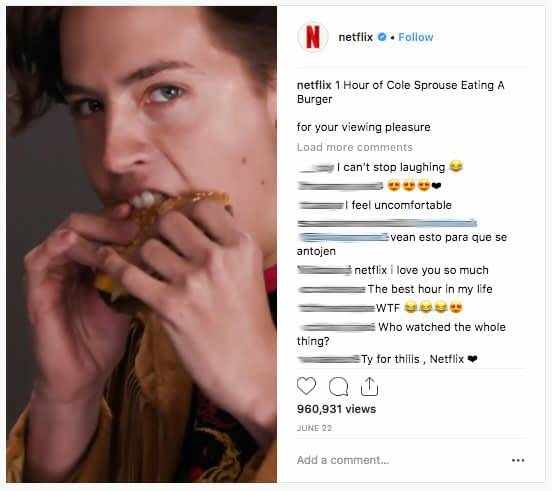 Netflix, for example, filmed Riverdale’s Cole Sprouse eating a cheeseburger and making eyes at the camera – for a whole hour, no less, taking full advantage of IGTV’s new 60-minute limit. Judging from the 960,000 views and the 6,500 comments, people loved it. 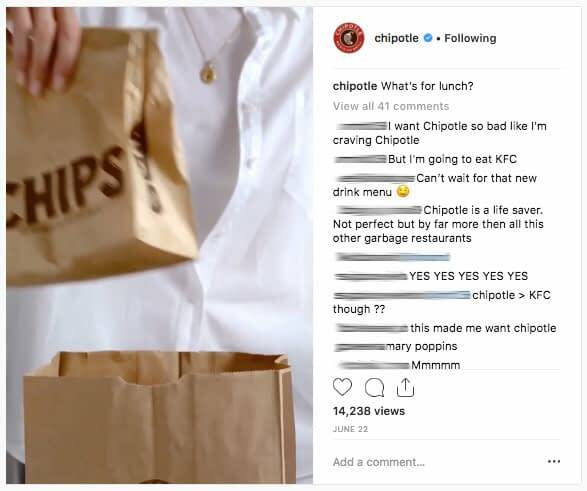 Also making the most of its 60 minutes, Chipotle posted a video of a disembodied hand pulling an endless stream of burrito and taco options out of a bottomless Chipotle bag. 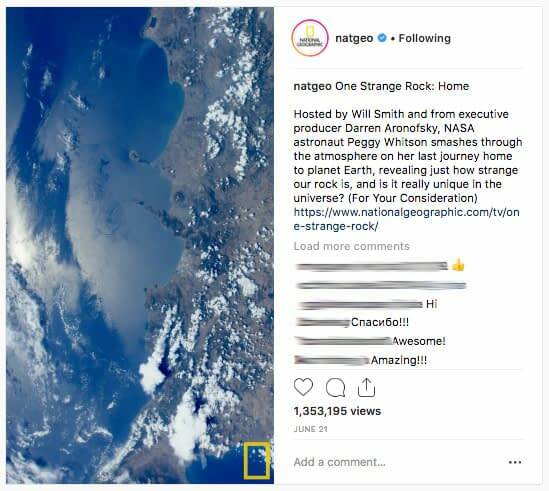 Taking the new video platform a little more seriously, National Geographic put a whole show on Instagram IGTV called “One Strange Rock.” Actor Will Smith hosts the 47 minute show about the wonders of Planet Earth and features NASA astronaut Peggy Whitson. The show was originally shown on regular TV and was edited to meet Instagram IGTV’s 16:9 vertical aspect ratio. Yes, brands have well and truly jumped on the Instagram IGTV bandwagon, and rightly so – according to Instagram, by 2020, 50% of all video viewing will be done on a mobile screen. So how can your brand make the most of this new long-form video platform? Read on to learn how IGTV works, how to upload your first video, best practices for publishing videos, and video content ideas you can borrow from the world’s top brands. 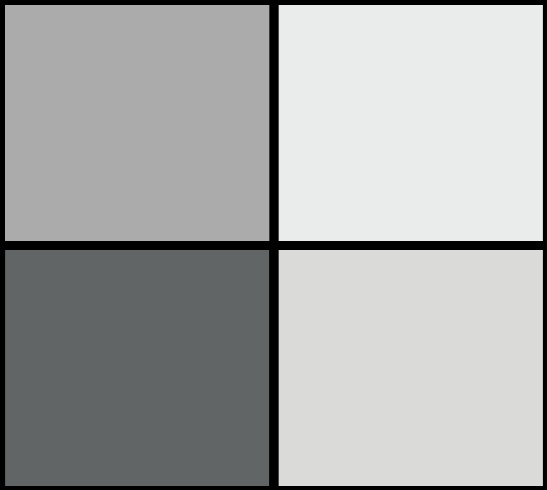 Instagram surprised many when it dropped its long-form video platform in June, adding a not-so-subtle colorful TV icon to its mobile app. Why is Instagram – the third-largest social media platform – going after video? 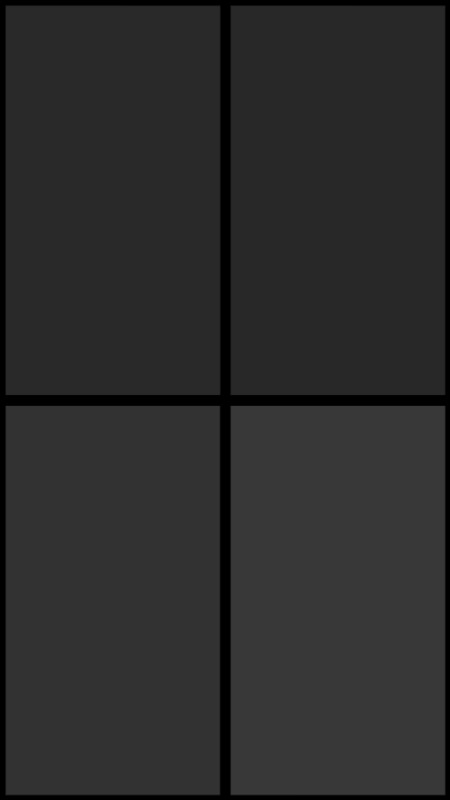 Well, it seems Instagram likes to take technologies that others have developers and make them its own. First, it went after Snapchat with Instagram Stories and completely eclipsed its rival (Stories has 400 million daily users and Snapchat has 191 million). Now, Instagram has its eye on YouTube. By 2021, mobile video will account for 78% of total mobile data traffic, and Instagram is betting big on mobile video with IGTV. You don’t need to be a big brand to have an IGTV channel. Even regular Joes can share long-form videos with their followers. 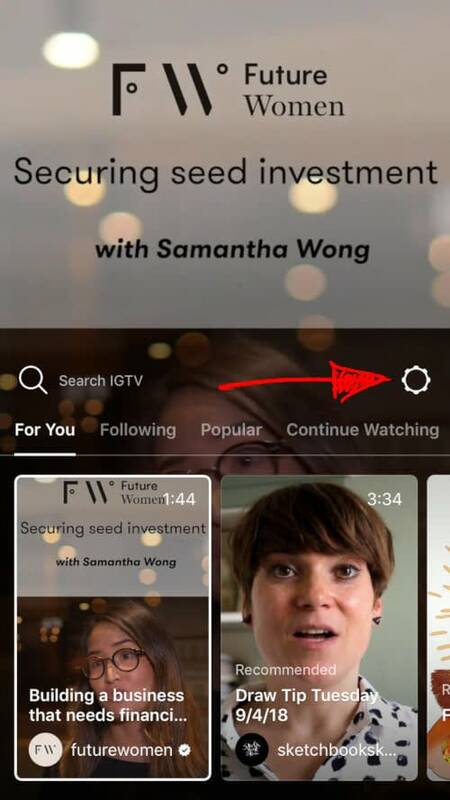 IGTV features channels comprised of videos, but these channels aren’t organized by similar programming or topics. Instead, “creators” (i.e. Instagram account holders) are the channels. But for now, videos can be only 10 minutes for most accounts. Only larger accounts can use the full 60 minutes, though Instagram hasn’t clarified what “larger” actually means. Instagram has said that eventually there will be no time limit. Unlike YouTube and Facebook, which support traditional landscape videos, Instagram IGTV has been designed to support the way people normally watch videos on their phones: vertically. This new emphasis on vertical video makes a lot of sense. It’s easier for people to watch videos on the go on their phone, increasing the likelihood that they’ll actually watch it. This means you can’t simply repurpose videos from other platforms because they’ll be the wrong size and format. Instead, you’ll need to create videos specifically for Instagram IGTV that match the required dimensions of 1,080 pixels by 1,920 pixels, or an aspect ratio of 9:16. What a lot of people haven’t realized yet is that there’s a standalone IGTV app. 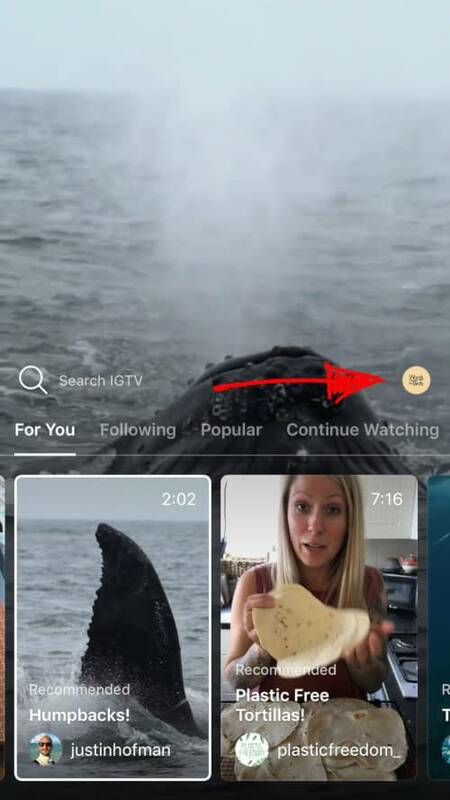 You can watch IGTV videos in the Instagram app, in the IGTV app, or by clicking the IGTV button on someone else’s Instagram profile. Even though you can watch TV-length shows on Instagram IGTV, the videos aren’t meant to compete with Netflix. Instead, they’re intended to be the kinds of videos you would see on YouTube. As Instagram CEO Kevin System explained at a launch event for the platform, “IGTV is for watching long-form videos from your favorite creators. In fact, Instagram poached teen influencers like Bryce Xavier and Lele Pons over to IGTV, while other prominent social media and YouTube stars were part of the IGTV launch. Since Instagram IGTV has been designed to take on YouTube and Snapchat, your videos don’t need to be super polished. As far as production quality goes, it’s best to think of IGTV like a step up from Instagram Stories. Your videos don’t have to be perfect or even curated like a regular Instagram post or video would be. If you would post a video to YouTube, then it’s perfectly fine for IGTV. There are currently three Instagram IGTV categories: For You, Following, and Popular. For You is a collection of videos that Instagram thinks you might like. It’s made up of people you follow and Instagram’s own algorithm. Following is where you’ll find videos from the people you follow on Instagram. Popular is a collection of all the trending videos on Instagram IGTV, probably ranked by popularity. There’s also a “Continue Watching” tab where you can pick up where you left off. You’ll also notice a search bar above the categories that lets you search for videos. Right now, you can only search by Instagram account name, which is hugely restricting. It seems that Instagram wants to curate videos for you so you don’t have to think about what to watch next – the program functions like a TV, with videos automatically playing as soon as you open the sub-app. Unlike Instagram Stories, you won’t see any ads in IGTV. But it’s likely there will be ads eventually. Since creators are investing a lot of time into IGTV videos, Systrom said Instagram wanted to make that sustainable by offering them a way to monetize in the future. Step 1: Open Instagram on your phone and click the IGTV icon in the top-right. Step 3: A new screen will pop up explaining what Instagram IGTV is. Click “Next” until you’re taken back to the regular IGTV interface. Step 5: … and you’re done! This last screen is where you can upload videos to IGTV directly from your phone. You might be wondering how exactly long-form videos fit into your social media strategy, or even what kind of content you should share on Instagram IGTV. The reality is, Instagram IGTV is something of a playground where anything goes! But starting out, it’s a good idea to look to YouTube for inspiration and work out what performs well there. 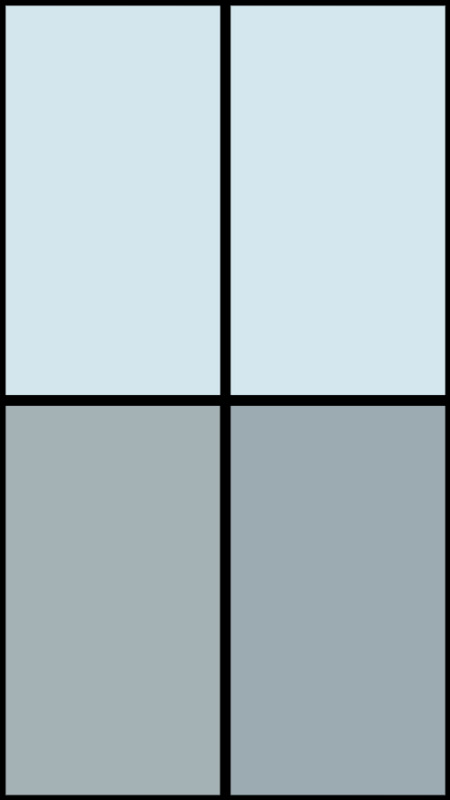 Here are some best practice tips to help you get started. Just because you’ve got 60 minutes to work with doesn’t mean you have to dive straight into sharing hour-long videos. 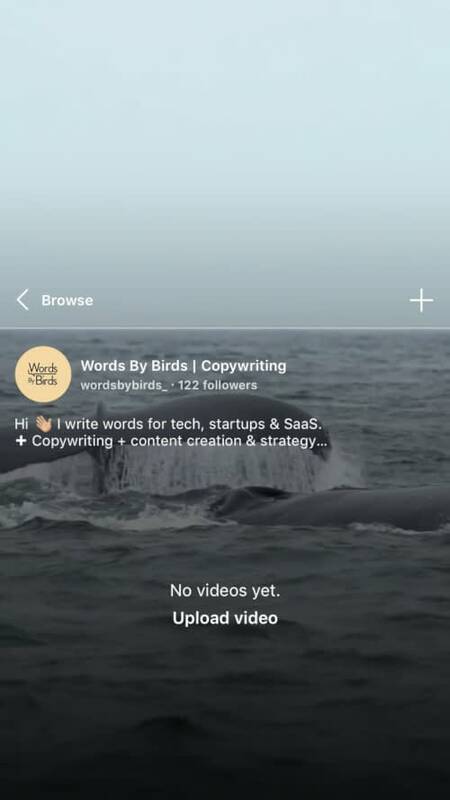 If you’re already using Instagram Stories to share 15 second clips, your followers will be accustomed to watching brief videos that, when watched in succession, add up to create a longer video. These shorts bursts of video are great for social media users who have short attention spans. Longer videos, on the other, hand… well, you’ll have to train your followers to watch them. It’s best to start small with videos that are 2-3 minutes long and go from there. You don’t have to be a Hollywood producer to know what kind of video content will resonate with your followers. After all, you can just post an Instagram Story and ask! It’s clear that Instagram is positioning IGTV as a place for content that entertains and is easy to watch on the go, rather than the kinds of videos you would post to Stories. It’s also meant for a mobile-first audience, unlike YouTube (where videos are often played on desktop and are always horizontal, similar to TV). Keep in mind that Instagram users are more likely to follow people they don’t know than users on other platforms. Also, younger audiences tend to prefer amateur content to professional, polished content. Since Instagram IGTV is still new, now’s the time to play around and experiment before any marketing dollars are at stake. 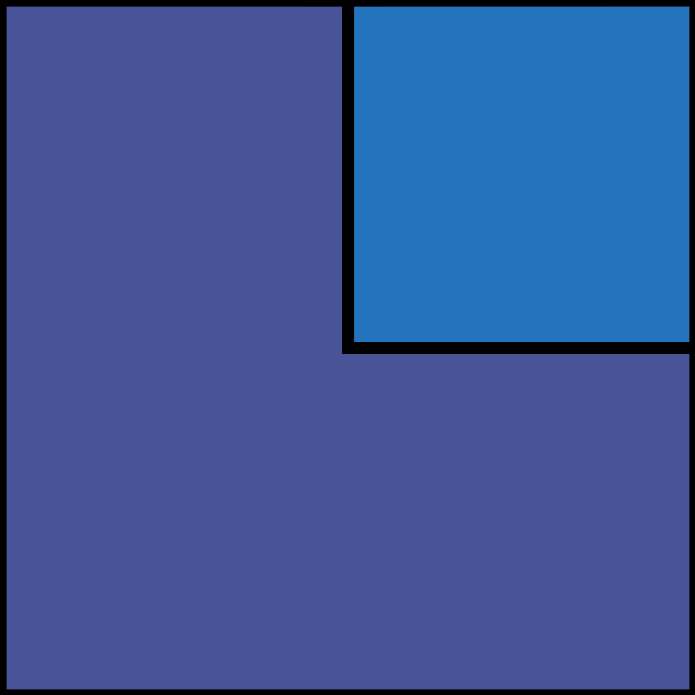 Think outside the box and try new things to see what your followers respond to. Becoming active organically on Instagram IGTV now will ensure that by the time advertising is introduced you’ll know what works best for your audience so you’re ahead of the game. It’s worth putting some thought into what kinds of long-form video content you want to focus on. 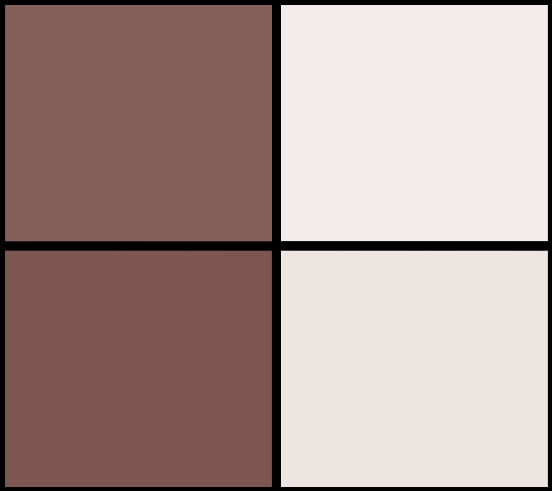 Choose 1-3 topics for your channel (more on this below) and have a central focus for your channel so your followers know what to expect when they tune in. Set a specific time to publish your videos and add it to your social media calendar. Plan your IGTV videos like you would any other social media content – the algorithm is friendlier to accounts that post consistently and often. Like Instagram Stories, you can shoot a video directly on your phone and share it immediately to IGTV. But this doesn’t mean you should share raw, unedited videos. Editing can make videos all the more compelling. You can shoot your vertical videos, edit using a video editing app on your phone (or on desktop), and then upload. While your videos don’t need to have high production values, putting some effort into editing will show your followers that you’re taking Instagram IGTV seriously and it’s worth coming back to watch your channel. Instagram IGTV lets you select a default cover image from the video, or upload a vertical image directly from your camera roll. I would recommend choosing the latter. 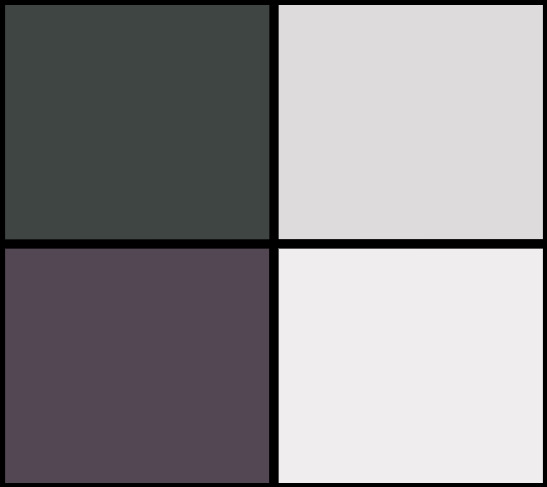 Taking a great cover photo and adding overlay text, if necessary, is more likely to capture a follower’s attention than a blurry video still. You might even want to brush up on your social media graphic design to create something unique and eye-catching. If there’s a common thread tying brands that are using Instagram IGTV, it’s that they’re using the platform to extend and complement their existing Instagram marketing strategy. Louis Vuitton, for instance, has shared videos of its fashion shows, an obvious extension to the photos the brand shares on its feed. Likewise, Headspace has shared videos about mindfulness and happiness. 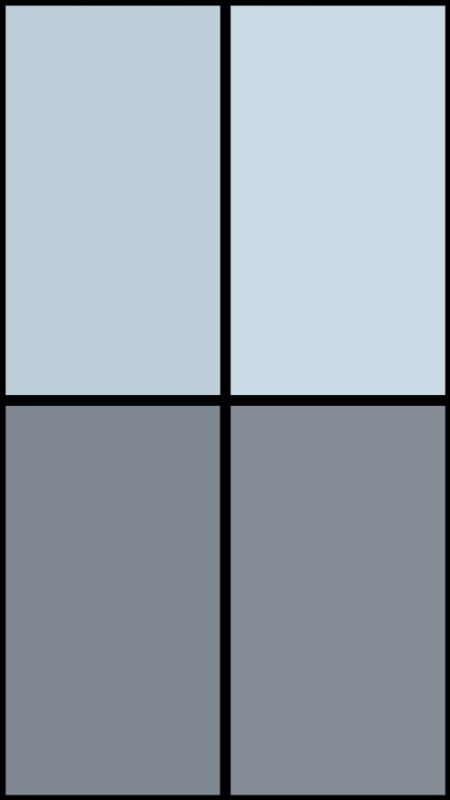 Their short clips naturally complement the meditation app’s colorful feed and go as far as to extend what you would find in the mobile app experience. Here are some other ideas to help you develop content for your Instagram IGTV strategy. 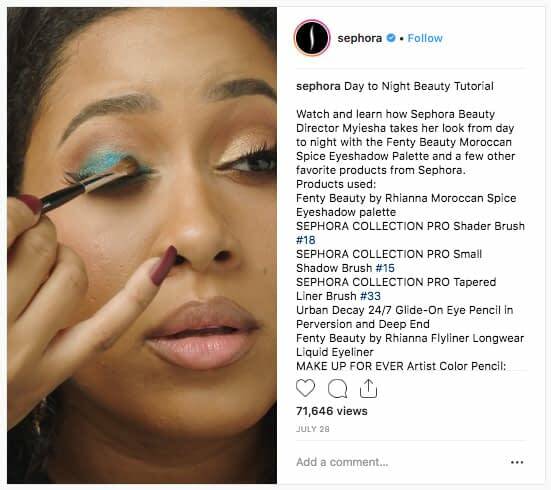 Make-up brands are using the platform to share how-to videos for their products. Sephora, for example, has a bunch of videos on skin care routines and how to apply certain products. 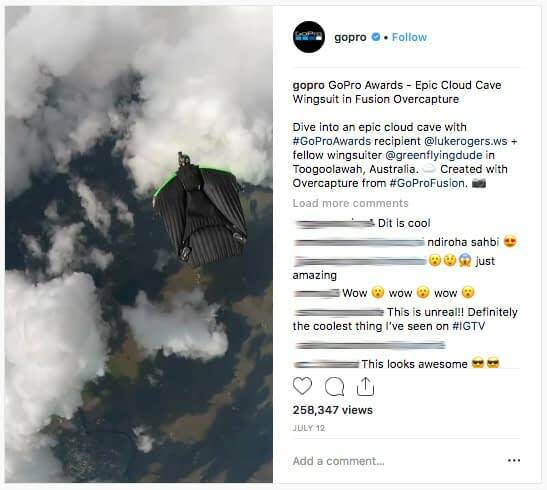 GoPro is big on sharing user-generated content, and its IGTV channel doesn’t disappoint with plenty of well-edited clips contributed by adventure seekers. News organizations and lifestyle brands like Bustle have used IGTV to share interviews with celebrities. 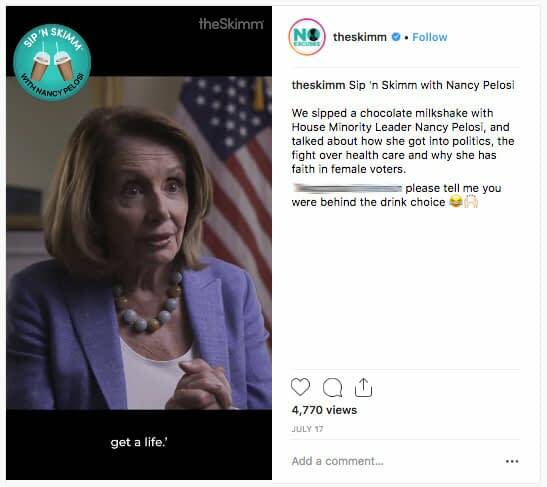 Email newsletter The Skimm, for example, has shared a bunch of interviews with political figures like Nancy Pelosi. 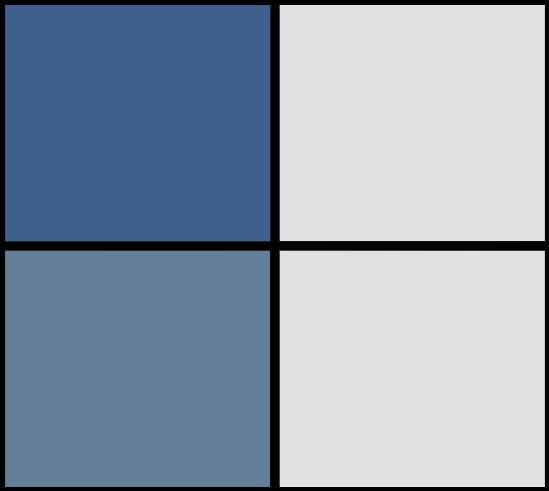 A lot of brands use sneak peeks on Instagram Stories to get followers excited about new products. 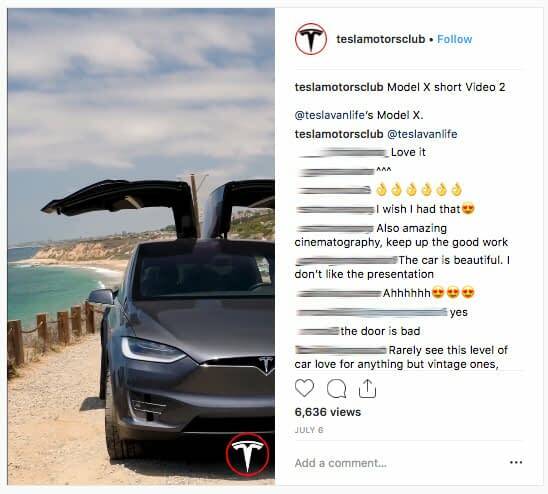 On IGTV, Tesla has shared an extended sneak peek video of its new Model X. Got a product or service to show off? Instagram IGTV is a great platform for short commercials. But unlike regular TV, IGTV demands realness. Take Warby Parker, for example. The eyewear brand posts a weekly series of videos, #WearingWarby, which features young influencers from all walks of life. 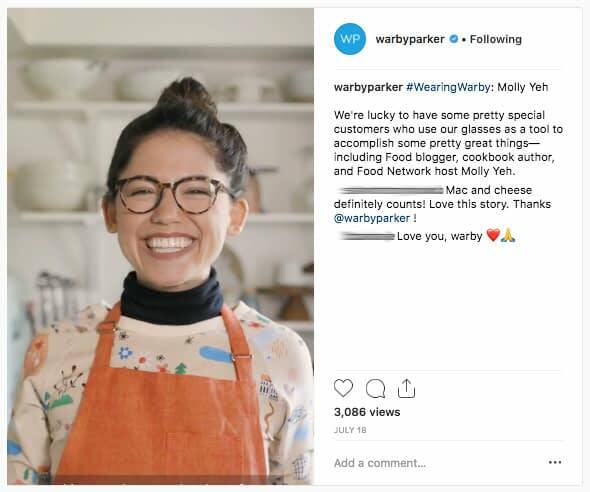 In the video below, chef and blogger Molly Yeh talks about cooking and wearing her Warby Parker glasses. Behind the scenes – If your business has a physical location, show it off! Filming your office and team and giving followers updates on current and upcoming projects is a great way to show transparency and authenticity. Conversations – Do your followers often ask you similar questions? Speaking directly to your followers and answering their questions is a great way to build a connection with your audience. Product reviews – You know, the ones you find on YouTube. With IGTV’s longer format, you can share in-depth products reviews with your audience. Daily reflections – This is a popular one with influencers. 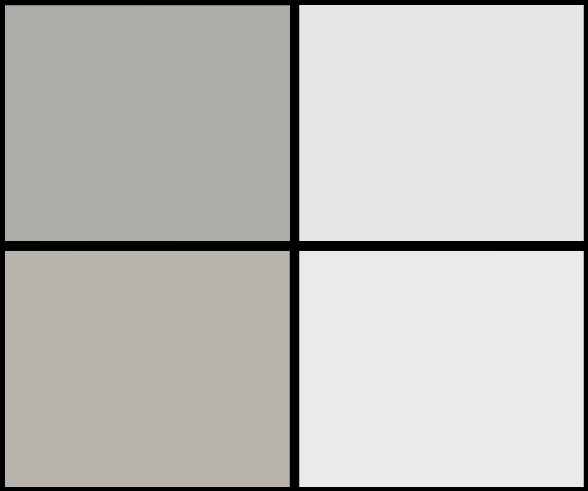 Simply talk to the camera about your day, the challenges you’ve faced, or offer some advice to your users. Collaborate with influencers – Instagram IGTV has been developed as a platform to help leverage the talents of social media influencers, so why not work with one? Learn more about working with influencers in this great guide: How to Use Social Media Influencers to Get an Advantage Over Your Competitors. Instagram IGTV isn’t just another video platform, and if you treat it as such you’re missing out. 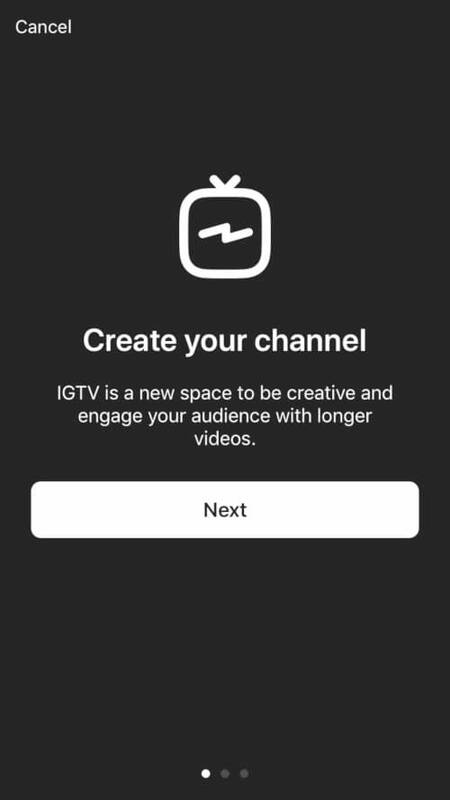 IGTV presents an opportunity to connect with your followers on a deeper level. With long-form content, there’s a stronger chance followers will reflect on your brand message and go on to explore the rest of your Instagram account and online channels. It’s still early days and many brands are yet to fully leverage IGTV. So if you can upload even a couple of videos to your channel you’ll be ahead of the competition. You’ll also have more time to use your Instagram analytics tools and build data driven campaigns.